The other day I went with my family and some friends for a short canoe trip on the Sázava river. It was fantastic, really; gorgeous scenery, quiet and fun for everyone involved, children included. Not even the insane heat was much of a nuisance; when there wasn't a gentle breeze blowing, all you needed to do to refresh yourself was to jump into the river. Believe me, if you ever get the chance to do something like this, take it, you'll not regret it. But this blog is about beer, and not about travelling, and there was beer, of course. We arrived in Týn n. Sázavou a bit after 9:30 and we met the rest of the group. Before we headed to nearby Čerčany to pick the canoes I was able to squeeze a quick pint, Ferdinand 11º, on tap at a shop that sold fruit, veggies, sausages, and beer. It was properly drawn, on a plastic cup, as it should be, and, needless to say, tasted lovely; few things are better than the first beer in a hot summer day. Once in Čerčany we got in the water and off we went, to adventure. It took me and my wife a bit to get a semblance of a rhythm going (and my daughter to stop shitting herself in fear), but once we sort of managed to control the canoe the ride was easy and a lot of fun. We stopped for lunch at a very nice looking restaurant in an old water mill. I didn't feel like eating anything heavy, so I settled for nákladaný hermelín, surprisingly good. The beer, on the other hand was not. I think it was Konrad 10º, but I didn't bother to confirm it, it was in pretty poor condition and not very well tapped on top of it. I downed two pints, the first one decided to commit suicide down my throat and the second because I was still thirsty, and even dodgy beer is better than most things you can drink at a restaurant like this on a hot day. A few kilometres later it was decided that we'd stop for tea. I don't know how much time had passed since lunch (I had no idea of what time it was, a bit of a luxury these days), but it could have certainly used a drink. The place where we stopped turned out to be one of the most beautiful pubs I've been to in my life. Bistro Ledce, located next to a meadow where cows were quietly grazing, inside a building that used to be a cow shed or cow shelter (my knowledge of Bohemian rural architecture is a bit rusty, but it's a rather largish building with a wall missing on one side). The pub itself was very smartly put together: panels of crude chipboard enclosing the kitchen and the bar on the right and the loos, built in a similar fashion, on the left; between them, an open space with simple, partly mismatched furniture that spilled outside in front of the building. The staff was friendly and they were playing pretty good music. Beers on tap were Rychtař 12º and Prince Max, a really solid desítka that I wish Lobkowicz deployed more widely. I went for the 10, good form, fresh. I swallowed three and was happier than a pig in a pub in the middle of nowhere, I would have stayed there for the rest of the summer, if it'd been up to me. We got back on our canoes for the last leg. We had to rush it a little, we didn't want to be late to return the boats and we still had quite a way to go. In the end we made it with more than half an hour to spare. The offices of the rental company shared the building with a pizzeria and, since there was no other place in sigh, it was decided that we would dine there. I wasn't overly excited, really, the restaurant served Staropramen. I almost complained about it, by reflex, but I thought better. We were all tired and hungry and I didn't want to be one of those beer wankers that expect the world to accommodate to their tastes. So there I went, mouth shut, hoping that at least the pizza would be good. It was good, very good, actually. As for the beer, the first pint doesn't count, I must have absorbed it through my skin. I didn't start paying attention to it until half way down the second pint, and let me tell you, it was not bad! At least not as bad as I remembered Staropramen Světlý and certainly more enjoyable than the last Gambrinus 10º I'd had. That second pint was followed by two more, and I wouldn't have had any problems with drinking another two had time so allowed. On the way home I started thinking. Was Staropramen now better than Gambáč? After the Brazilians packed their bags, Staropramen was turned into the flagship brand of the group of breweries they had left behind, StarBev, which since last year has been under new ownership, Molson-Coors, and this might have brought in better quality, or at least, a return to some practices that the AB-InBev bean counters might have not allowed. At the same time, I've been finding Gambrinus harder and harder to swallow. An idea started to take shape a day later. 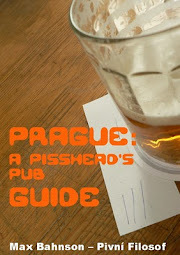 What if I compared the two most widespread beers in Prague? I thought of visiting a couple of good pubs of each brand to see which one was better at its best, and also tasting them side by side in bottles. It could be fun, and good material for a post. It didn't get anywhere. 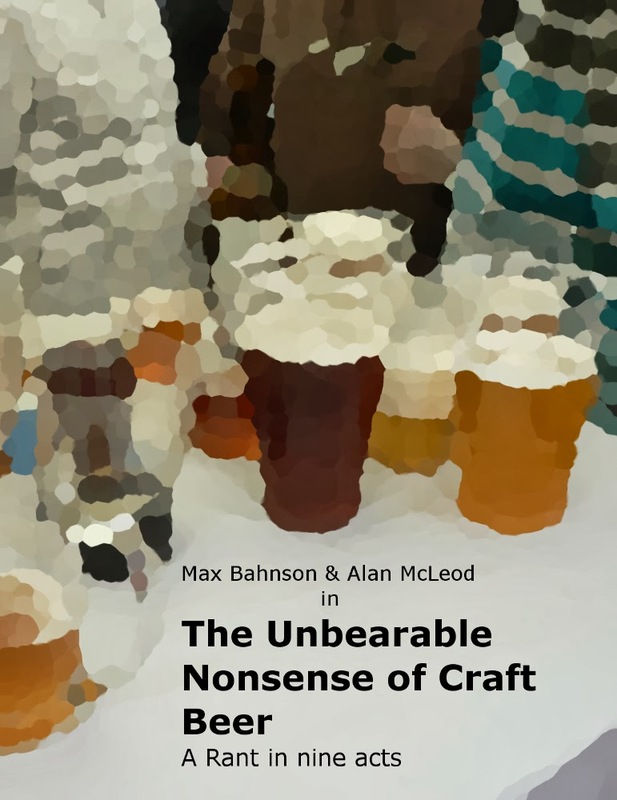 I soon realised that it'd be a massive waste of time (and money) as I would end up proving absolutely nothing, and not only because I'm not a consumer of either of those beers. Beer is always part of a where and when, and that Staropramen's where and when could have hardly been any better: pleasantly tired at the end of a great day, in a lovely place, with great people around. Now, if I went to Staropramen and Gambrinus pubs, I'd be in different wheres and whens, which will have an effect on the beers. On the other hand, tasting bottles of them side by side at home would be even more pointless as can't be arsed anymore with drinking beer just for the sake of analising them, it's a pretty silly thing to do. So there you have it. I had such a wonderful day with my family and friends that even Staropramen tasted pretty good. PS: I hope you'll forgive the lack of photos. The camera stayed safely at home. Great Post. CZ Pastime, Canoeing. All about a Place. In a Certain Time. I have to agree with your views on Staropramen. A: "Do you realize that Staro/pramen and Pra/zdroj mean the same thing?" A" "I meant Staro/pramen means "old spring" and Pra/zdroj means ancient source, but I see what you mean"
I still like Pilsener, if it's from a tank, but I've long avoided Staropramen. But lately, often not having a choice, I've found it to be a solidly drinkable (although unremarkable) beer. I certainly wouldn't turn away a cold one on a 37C day, even if I had just lain down for a few minutes in the shallow yet swift running waters of the Sazava beneath the Nespeky weir. In Canada, Molson/Coors has been buying up a lot of the good microbreweries (Creemore, Granville Island) but not advertising it at all. I'd say the quality of both went down and am not a big fan of Molson/Coors at all. Was surprised to hear you think it may have improved the quality. I live in London, ON which is home to Labatts which is Inbev... they're not very good either. Having said all that, I'd kill for a proper pint of Staropramen or Pilsner Urquell. Both very hard to find on tap. That improvement (if there's been such, I believe so, but it might also be wishful thinking) didn't happened under the previous ownership, CV Capital Partners, who came out with the StarBev thing. MC may have carried on with the same policies. That said, the policies of multinationals like these will vary from country to country.